Bean Box is a monthly subscription service bringing you coffees from the best roasters in the Pacific Northwest. They offer two kinds of subscriptions – The Bean Box Coffee Sampler, which delivers one, 12 oz bag or Coffee of the Month, which delivers 4, 1.8 oz bags – and from there you can choose your roast preference and payment plan. This is a review of the $26 Coffee of the Month box. This is my first Bean Box, and as a coffee lover, I am truly excited to dig in! I love that the roast date is displayed right on the front of the box – this is something I’m always looking for if I’m picking up a bag of coffee in a retail spot. I’m going to go over the products included in the box and then walk you through my brewing process. This box came with a couple of cards – one with contact info and brewing instructions and the other a coupon for one month free. We see these one month free cards in other boxes occasionally. They also threw in a Jonboy Caramel which was a nice treat! It was pretty warm this month, so the outside was a little gooey but the center of the caramel stayed firm and it was delicious. When you check out on the Bean Box order page, you are prompted to add larger quantities of these (and other items) to your order. First up is this absolutely delicious coffee from Broadcast Coffee in Seattle. The Dusangirijambo comes from a co-op in Burundi and has advertised notes of peaches, barley tea, and “floral”. Of the four coffees this month, this was my favorite. I prefer light-roasted African coffees so this was right in my sweet spot. Next is this blend from Water Avenue Roasters in Portland. The two coffees in this blend are from Central and South America, and while normally I don’t prefer blends OR South American coffees, this blend was ok. Despite being a lighter roasted coffee, it had a heavier “roasty” flavor that I normally associate with coffees from this region. The advertised notes are hazelnut, milk chocolate, and navel oranges. I definitely got the chocolate/hazelnut but couldn’t really pinpoint the orange. The third coffee this month is roasted by Bluebeard Coffee in Tacoma, Washington. It’s a Colombian bean from a collective of family-owned farms that are washed and then dried in the sun. The advertised notes are cocoa, cinnamon, concord grape, lemon and candied walnut, so I was thinking I might get something sweet but I ended up getting that same flavor that I expect from a South American bean. This was probably my least favorite of this month’s selections. Finally this month we get this blend from Slate Coffee Roasters in Seattle. The two beans in this blend are from the same family-owned farm in El Salvador. I was fully expecting to not like this coffee due to it being a blend from Central America but I was completely wrong to judge a book by.. Where it came from? While Slate bills this as a straightforward no-nonsense coffee with notes of dark chocolate, toasted almond, and brown sugar, I found it to be pretty flavorful. After brewing up a standard cup I decided to use the remaining beans to make an iced coffee and it was excellent! A few years ago I discovered the Aeropress and never looked back. I weigh everything out precisely to my preference by cup. Bean Box provides details on how to brew each coffee by bag using the drip method. Either way, you should be able to get about 3 cups of coffee from each pouch. I grind to a consistency right around table salt – it’s a little larger in grain than you would normally do for a drip coffee. For a standard cup of coffee (roughly 8 ounces) I’ll use 18g of coffee. I prefer to brew using just enough water to extract from those 18g, allowing me to add water (Americano style) so I can dial in the taste. I used 95g of water to 18g of coffee for each of the coffees in this box. I’ll allow the coffee to bloom before pressing, giving it plenty of time to pull out all the flavors. It takes about 2 minutes to brew up and press the coffee using this method, and I added anywhere from 60 to 90g more of water to try and nail the expected flavors. Verdict: My first Bean Box was really good. I enjoyed all the coffees included, though obviously some were better for me personally than others. Based on my personal daily coffee intake, I can brew up 6 of my daily 16oz thermoses worth of coffee. As I said I prefer it rich so you could potentially stretch it a little further. I feel like the value of curation and convenience of delivery of really fresh beans cover the remaining value. Can you still get this box if you sign up today? No, your coffee choices will vary based on your preferences and what they have available. Value Breakdown: At $26 for this box (the month-to-month option), you’re paying about $6.50 per pouch. 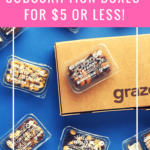 The longer, pre-paid subscription options will lower the pouch prices to $6 or $5.75 each. 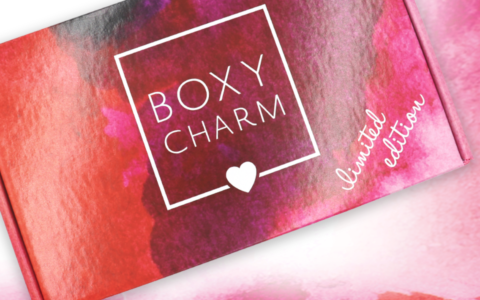 Check out all of our Bean Box reviews and the Lifestyle Subscription Box Directory! What do you think of this month’s Bean Box? I tried their coffee once (this year) and the coffee was old, though they put a recent date on it. One of the coffees tasted like plastic! Great review! a nice, thorough job.